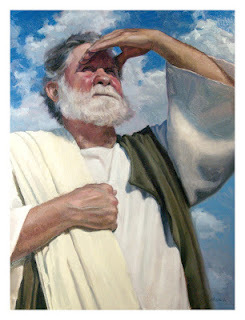 יהוה להוסיף - Joseph - then name means God will add/increase; God will give in abundance. God will give increase, in abundance, overflowing, bursting forth. 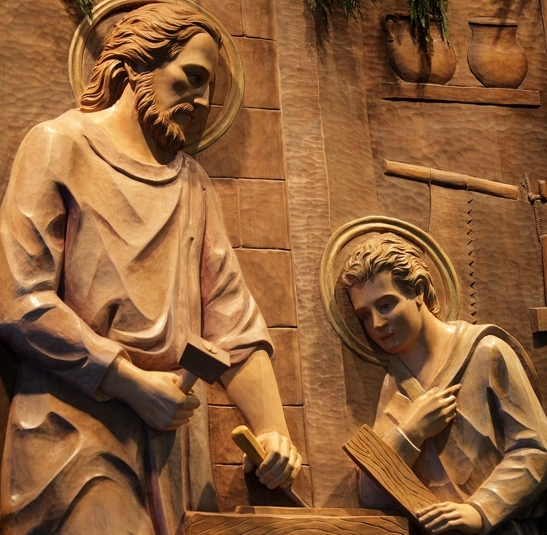 We celebrate the feast of St. Joseph we are called into community, where we gather in abundance, we are called into spirituality where learn to love freely, we are called into justice, where we give freely so that others may be free. We celebrate the feast of St. Joseph as we move into Holy Week, into sacred mystery, into the dynamic of dying and rising, into the circle of life, into the dance of the Divine. Blessings on each and all of us as we ponder the movements of this week, the abundance of God and the gifts we have to give to God's people. Lent is traditionally a time when we "give up" some particular food as a spiritual practice. Meatless Fridays, and giving up chocolate are familiar ways of marking the season. Spiritual guides encourage us to think of making Lent a time of spiritual deepening, a time of prayer and reflection. So in addition to its disciplinary aspect, it has a quality of spiritual enrichment. I would propose that reflecting on Pope Francis' recent document on the environment "Laudato Si'" could lead us back to the practice of Meatless Fridays, but for a different reason. 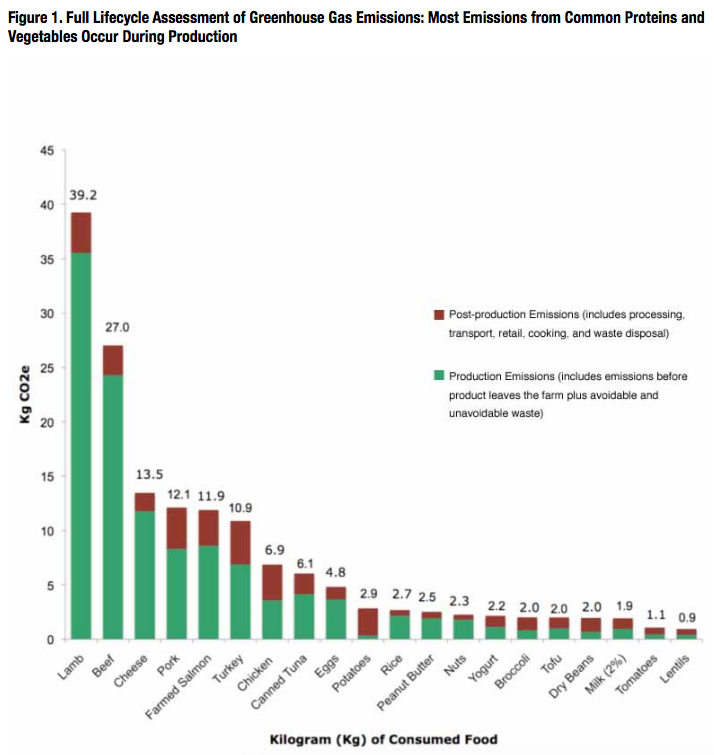 The chart here shows the carbon footprint of some of our common foods. Could we consider replacing a meal or two a week with a low-carbon-footprint substitute. Beef and pork rate high on the list. Eggs and tuna come in the middle, with only a fraction of the carbon footprint. 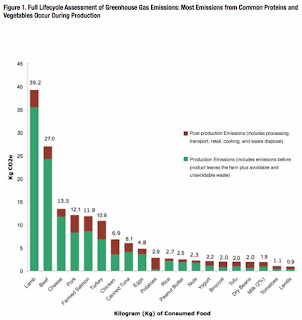 And dried beans and lentils are at the far right, with a 90% lower carbon footprint, as compared to beef. Even choosing chicken over beef helps, choosing free range birds to avoid the inhumane treatment found on factory farm. Some make the choice to be vegetarian, based on this information alone. By choosing every meal from the lower end of the chart, they significantly reduce their carbon footprint. But you don't have to go to the extreme to make a difference. Even making the choice to replace a few meals a week makes a difference. E.g. what about making meatless Fridays a permanent choice. Or what about getting a vegetarian cookbook and choosing a few days a week to experiment with new low-carbon-footprint options. Another option would be to save the higher footprint options only for special occasions, Sunday dinner, birthdays and anniversaries. There are lots of possibilities. The key is for each of us to make a commitment to move a little toward a lower-carbon-footprint diet, so that we can all benefit from a more stable environment. And more importantly so that the poorest and weakest of our brothers and sisters can have a little better place to live. This Sunday's reading about the Prodigal Son puts me in mind of various ways in which we squander riches, in which we break away, and in which we come to our senses and return home. The younger child in the story usually gets a bad rap, selfishly taking a half share of the inheritance before the parents are even dead. Then going off to spend it all on 'loose-living', surely not anything that would make the parents proud. Then eventually ending up penniless, scratching out a living doing odd jobs with no benefits. He has squandered the riches of the father's house. Meanwhile the elder child remains at home, works in the family business, never thinking to ask for even a kid-goat to have a little party with friends. Always there, always faithful, but never suspecting the true riches of the family home. He has squandered the riches of the father's heart. Then we turn to the image of Christ - who leaves the Father's house and wandering among us on this earth for a brief time. He squanders the riches of his Father's house on loose-living humanity, and offers us a chance to come to our senses, to break away and return to the Father's heart. Lent is a time to break away, to throw off tired ways, to return home, to return to the best of ourselves, to accept the invitation to turn again and accept the riches our God is offering. I ask for this gift for us all, as I struggle to accept it myself.